Don’t miss out on great deals on adventure gear at the Adventure Leadership Institute’s Gear Sale. The sale is occurring Saturday, February 21 from 9:00 a.m. – 10:00 a.m. in McAlexander Fieldhouse. The 2015 RecSports Indoor Triathlon is a swim, bike and run throughout Dixon Recreation Center. Participants operate in heats of seven or eight depending on how many register. The event starts in the Dixon Pool, where heats are timed and officials keep track of lap count for each swimmer. The Stanislaus NF will be filling a number of temporary summer positions in 2015. A wide variety of jobs will be available in archaeology, botany, interpretation, recreation, wilderness, wildlife and wildland firefighting. Currently, we have job announcements created for WILDLAND FIREFIGHTERS. These announcements will not open until 01/30/2015 and 2/3/2015. Below are the announcement numbers and the website to apply for these positions. The announcements for the GS-4 Suppression and GS-5 Engine and Helitack positions will open 1/30/2015 and close on 2/3/2015. The announcements for the GS-3 Suppression and GS-5 Hotshot/Handcrew positions will open 2/3/2015 and close on 2/9/2015. You can access the announcements on the date the job opens which is indicated above with the number listed as the announcement #. Applicants must establish an account and create or upload a resume in the site in order to apply. For assistance in navigating the USAjobs site, open the attached power point PDF file or access https://help.usajobs.gov/index.php/Main_Page. Once you have established your account and resume, that data will be used in all future applications without the need to reenter. REMINDER!!!! 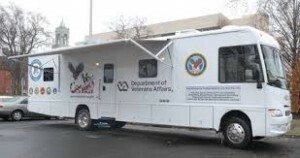 Mobile VetCenter coming to OSU! The VetCenter provides confidential counseling to veterans. It is a division of VA health services, but records from the VetCenter are not shared with the VA or anyone else, unless you specifically request it. VA enrollment forms will be available, but the VetCenter does not specialize in enrollment. Bring any paperwork with you if you would like to make/work on a claim. No paperwork is necessary if you would just like to talk. Forrest Schweiger, son of Advanced American Diving Service co-founder Konrad Schweiger, lost his life in a construction accident in 1999 at age 26. To honor and commemorate Forrest, Advanced American Construction, Inc. of Oregon City, OR, formed the Forrest L. Schweiger Memorial Scholarship Fund. With the untimely death of Konrad Schweiger on April 11th, 2002, the Fund’s name was changed to the Schweiger Memorial Scholarship Fund. The Fund provides annual scholarships to applicants wishing to pursue educational excellence in construction and construction-related fields. The Memorial Fund awards annual scholarships to selected students at the Schweiger Memorial Scholarship Awards Banquet each Spring. Thanks to the generous financial contributions received from our friends, 181 scholarships, totaling $467,000, have been awarded since the program began. Scholarships have been awarded for 2013-2014. Please check back periodically for information on upcoming 2014-2015 application details. c/o Advanced American Construction, Inc.
Dam Fit is a program designed to push you to the next level of fitness, regardless of your current fitness level. Each team is led by a trained coach — incorporating strength, agility, and cardio – and effectively progresses all participants towards their fitness goals. See if Dam Fit is right for you by attending one of three FREE Dam Fit sample classes on Wednesday, January 14th at noon, 4:00 p.m. or 5:00 p.m. in McAlexander Fieldhouse. These sample classes are open to all students and Recreational Sports members. Get Motivated | Get Strong | Get Results | GET DAM FIT! Department of Defense and Department of Veterans Af-fairs (DVA) have announced that service members are no longer authorized to use both Tuition Assistance and DVA benefits from the Montgomery GI Bill-Selected Re-serve program (Chapter 1606) or Reserve Educational As-sistance Program (Chapter 1607 for the same course. Soldiers may use both FTA and GI Bill benefits during a term, as long as they don’t use both benefits for the same course. This does not affect Soldiers using TA and Montgomery GI Bill – Active Duty program (Chapter 30) or Post-9/11 GI Bill program (Chapter 33) simultaneously for the same course. Please contact me, your VA School Certi-fying Official (SCO) or the DVA at 1-888-442-4551 or www.benefits.va.gov. END OF THE FIRST WEEK OF WINTER TERM AND GETTING BACK INTO THE SWING OF THINGS. BOOK ALLOWANCE: 2-3 WEEKS AFTER INITIAL CERTIFICTION 41.67 PER CREDIT HOUR (IF YOU ARE 100% ELIGIBILE). VA DISBURSES BAH THE FIRST OF THE MONTH (and always pays one month behind). 1ST OF FEBRUARY FOR WINTER. VA DISBURSES TUITON AND FEE MONEY TO THE UNIVERSITY BETWEEN 5TH AND 7TH WEEK OF TERM. INTEREST ACRUED TO YOUR ACCOUNT WILL BE BACKED OUT WHEN MONEY IS RECEIVED. YOUR TUITION AND FEES WILL BE REPORTED THE 3RD WEEK OF THE TERM. DON’T FORGET TO VERIFY YOUR ATTENDANCE ON THE LAST DAY OF THE MONTH TO RECEIVE YOU STIPEND THIS IS DONE THROUGH WAVE.